By looking at the Brook Taverner Men’s Hindhead Tweed Jacket you have impeccable taste and it shows. 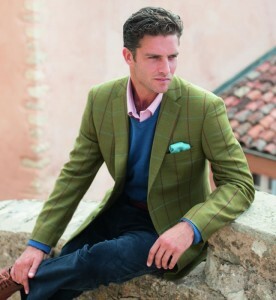 Quality is a word synonymous with Brook Taverner, and the selection of jackets and blazers offered are of no exception. The Brook Taverner Men’s Hindhead Tweed Jacket features the warmth and comfort of pure wool and a classic fit ready for layering and a distinctive navy check providing a mark of distinction. Brook Taverner tweed jacket range are woven using three different complimentary tweeds in each style. Their blazers are made using high quality wool. These all round jackets and blazers will benefit any gentlemen’s wardrobe! The Brook Taverner story started in 1912 with Frank Brook and Walter Taverner on a boat to Calcutta. Their first business venture was selling buttons to tailors, but soon linings and then cloth were added to the range. It was the cloth which propelled the business forward, and despite tricky times in between the two wars, one of the largest stock supported fabric ranges in the country was built up concentrating entirely on the menswear. In 1967 with many traditional tailors shops disappearing, it was decided that Brook Taverner should offer a cut, make and trim service. Five years later, this led to a comprehensive ready-to-wear range being introduced. Today, Brook Taverner, based in Yorkshire, is one of the UK’s most respected names in men’s classic tailoring, and is based on three principles: quality, service and price. Not just confined to tailored suits, Jackets and over coats Brook Taverner are now making Mens Jeans, casual Cotton Trousers and Chinos. The Brook Taverner company prides itself on its exceptional craftsmanship and detailing, cutting no corners to deliver the perfect finish to every garment. Because the firm specialises in only manufacturing men’s suits, coats and over coats, its depth of knowledge and experience is barely rivalled by any other menswear maker in the country. 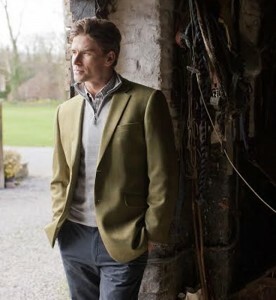 Whether warn in the classical country clothing way or over a smart jumper with jeans, any man can put his own personal touch on the Brook Taverner clothing making it variable right through the times on a man of any age. Quality is a word synonymous with Brook Taverner, and the selection of jackets and blazers offered are of no exception. Brook Taverner tweed jacket range are woven using three different complimentary tweeds in each style. Their blazers are made using high quality wool. These all round jackets and blazers will benefit any gentlemen’s wardrobe! The Brook Taverner Saluki summer tweed jacket is an exquisite new addition to their tweed collection. 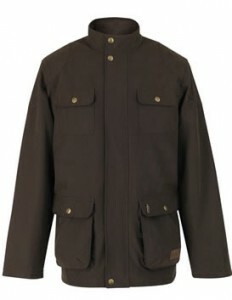 The earth tones and assured check pattern make the Saluki Jacket a handsome choice for any spring or summer day.